Most of us don’t give any real thought to where logos actually come from beyond what we can see. The people behind these artistic masterpieces were sometimes inspired by the smallest of things or by the most iconic of symbols before stamping their own little bit of history. Most of the creators of the most famous logos probably had no idea they would become so popular or become so widely used throughout cultures around the globe. These are just a few of the most famous logos used all around the world because they don’t assault our eyes. Frank Seiberling never disclosed the creator of the Goodyear logo, but that doesn’t really matter. The icon of a pair of winged boots in between the company name is known almost any place where the company does business and was inspired by the Greek god Hermes. That shouldn’t be a huge surprise considering the company’s emphasis on speed and efficiency. The Mobil Oil icon has changed substantially over the years, but it remains well known anyway. Although colors, font, and other parts of the logo have been altered over the decades since the company began (in 1911), the pegasus has been a primary component of the logo the whole time. 1964 was the first year that Mobil Oil used red to emphasize the “O” in Mobil. Target was originally founded in 1902 and always used a target as part of its icon. For a long time, it was larger, included more rings, and was black. The single ring design didn’t arrive until 1980 and hasn’t changed too much since it debuted. The Audi logo has been through a number of iterations, some embracing the new, while others fell back upon the old. The most common component in most is a number of interlocking rings, which are silver and hover above a red-lettered Audi in more contemporary designs. Although the silver rings weren’t always present in the logo after the acquisition by Volkswagen Group, they remained a core part of the grill on every vehicle made. One of the best-known logos worldwide is that of lego, and its iconic red, yellow, black and white will forever be a part of our imaginations from childhood and onward. The logo used right now was implemented in 1998, but it isn’t much different from its previous version which came to be in 1973. Sometimes an icon or logo is so well known that you can just drop the name altogether–and that’s exactly what Nike did in 1995. Today, the logo of a curved checkmark is still as simple and effective as it always was. The name Nike also belongs to a Greek goddess who symbolized victory, and Nike has clearly embraced the same over the years. 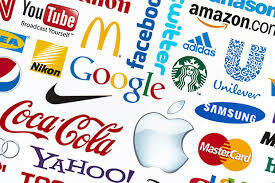 Logos are often used to create a face for a campaign. Some of the most well-known charitable organizations are known because their logo perfectly coincides with their name, like American Red Cross. Other times, logos becomes the face of a movement. For example, the pink ribbon representing breast cancer awareness or the purple ribbon which often coincides with domestic violence. Logos of long-lasting companies are clearly the best known throughout the world and Phoenix, but a powerful logo might just be the key to creating a company that does indeed endure.